I buy vinyl for the deep bass. But when the mp3 has more bass than this record, there's something really wrong with it. I'm playing this on a ProJect 'The Classic' with a Sumiko Blue Point No. 2 MM Cartridge - the mix is just bizarre, it is so high and jangly. I accept this is a yellow vinyl, but even on first play is sounds muddled and compressed, like I suddenly have a transistor radio authoring the sound. Very odd. FLAT. So disappointed, this sounds like I'm listening to it through a pillow. Great packaging, terrible pressing. 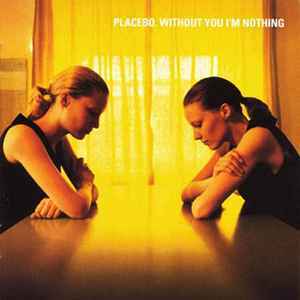 I own all Placebo limited issue albums and i am especially dissapointed of the sound of this one. Especially the inner area of Side A "Without you i'm Nothing" and "Allergic" sound extremely distorted.